Clara Harlowe Barton (December 25, 1821 – April 12, 1912), nicknamed "Angel of the Battlefield," was a Union nurse during the American Civil War. 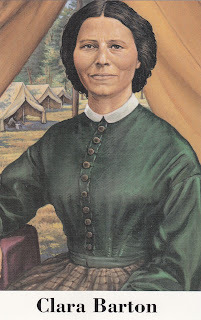 Also a teacher and patent clerk, Barton is noteworthy for doing humanitarian work when relatively few women worked outside the home in that era. 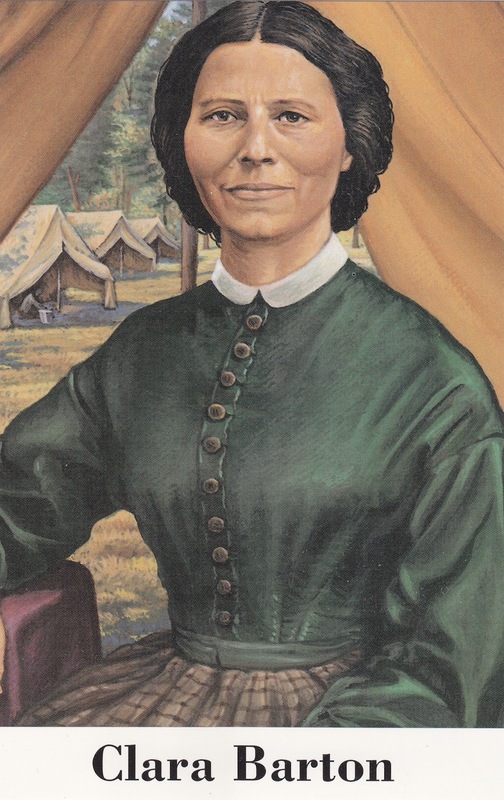 She nursed the wounded at Antietam and at Virginia battlefields; helped identify and mark graves at Andersonville prison; and later founded the American Red Cross. The 20¢ stamped card is one of the twenty cards corresponding to the twenty 32¢ American Civil War stamps issued at Gettysburg, PA on June 29, 1995. It was sent to France as US-4015356.